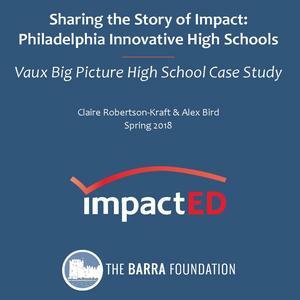 The Barra Foundation and ImpactED have studied and funded Vaux BPHS. Check it out! 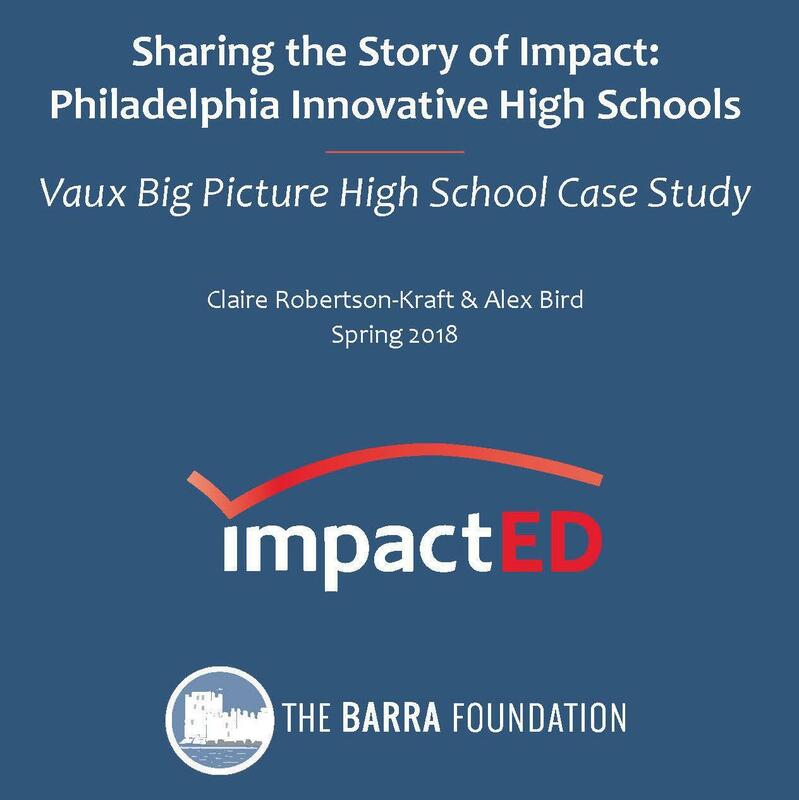 The Barra Foundation’s Catalyst Fund supported four innovative high schools in Philadelphia – Building 21, Science Leadership Academy, The Workshop School and Vaux Big Picture High School. Given Barra’s desire to share learning as part of the innovation process, the Foundation decided to embark on its first “thematic review” to look back across these models to capture learnings. During the 2017-2018 school year, ImpactED, in partnership with the Foundation, engaged in an intensive year of learning about these school models. Check out the video below, and click this link to learn more.